Microsoft Inspire is a remarkable event geared towards Microsoft Partners. It primarily focuses on ground-breaking news surrounding systems administration and the backend of Microsoft products, but there is a lot for Microsoft customers to be excited about as well. These electrifying announcements have an affect on everyone who utilizes Microsoft products. Smart decision makers such as C-Level Executives and Tech Leads are taking this information and proactively moving to gear up their organizations’ IT infrastructures to prepare for these imminent changes. 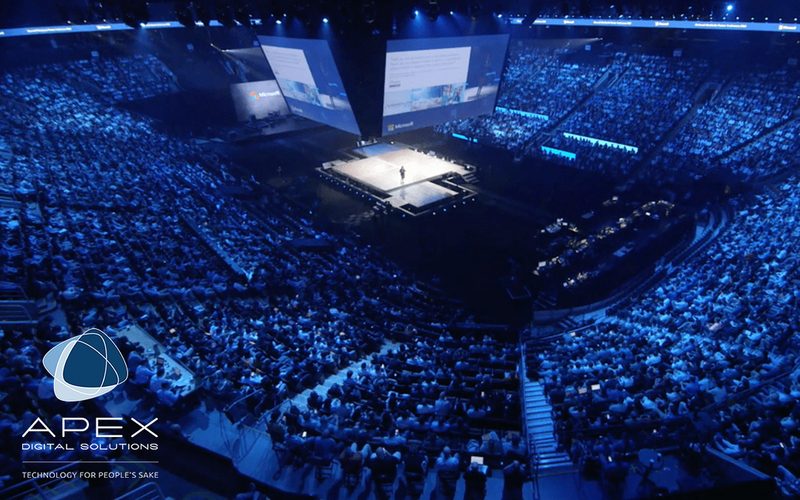 Here are three reasons why business decision makers are looking to transform the technology at their organizations following Microsoft Inspire 2018. Many organizations from small non-profits up to large enterprises have a common issue where they are seemingly always fighting against technology. How many times have you seen things falling apart all over the place with your technology, to the point where you can almost hear circus music playing in the background? Training and troubleshooting technical issues are constant battles but they don’t have to be. With Microsoft 365, the technology just works. These business applications and processes work together seamlessly, and with interconnected information and consistent user interfaces, training end users is a much more streamlined process. Microsoft CEO Satya Nadella, during his keynote at Inspire, noted that 81 percent of business leaders are increasing their investments in the modern workplace over the next two years. Clearly, with these numbers, it is vital to ensure that your organization is getting the most out of the products you have to further pursue your organization’s mission and retain the best talent. With Microsoft Teams becoming the new major communication and platform, and the parity between phone and conference systems, productivity and collaboration in organizations is seeing a major boost. With these major changes, end users and organizations are seeing their regular workdays changing drastically for the better. One of the most difficult things about transforming your organization’s technology is imagining what it will look like to utilize these technologies in your day to day life. Mr. Nadella spent a portion of his keynote demonstrating how Microsoft 365 has boosted productivity in his everyday work life. The biggest takeaway from this demonstration was seeing how the use of technology such as Microsoft Teams and Outlook transforms the modern workplace into people-centered experiences rather than device-centered experiences. What is the difference between people-centered and device-centered experiences? The technology in your organization should be for everybody. It should work seamlessly with the processes and workflows for everyone from the top executives to the front-line workers. Microsoft 365 is transforming culture and productivity by adapting to workflows for all sorts of different industries by remaining relevant and adaptive to everybody in the organization, rather than forcing users to adapt drastically to the technology. This is what it means to be people-centered. When it comes to many business processes such as project management, data, and analytics, countless amounts of man hours go into simply managing workflows. This can often be a major hindrance to scaling up an organization because it prevents these highly skilled workers from focusing on bigger picture things like strategy and analysis. The future of workflows is in automation. "It's time to start being comfortable with being uncomfortable." The Executive Vice President of Microsoft’s Worldwide Commercial Business Organization, Judson Althoff, went into detail at Inspire about the future of workflows with automation. “…with business applications such as Power BI, processes are becoming easier and easier to visualize,” he said at last week’s conference, “This not only takes a great deal of the load off data specialists, but it is also changing company culture on a whole. It’s completely changing the way organizations and the users therein are looking at business applications.” Between PowerBI’s automated analytics processes, bots in Microsoft Teams, and logical policies in SharePoint, highly skilled workers can dedicate their valuable time elsewhere. It can be scary to look to embrace these changes at first, but it’s time to start being comfortable with being uncomfortable. After Microsoft Inspire, top-level executives are reevaluating their organization’s technology. They see that the future is in productive, integrative products that automate processes and boost security. Microsoft 365 features major innovations that have the potential to totally change the way we think about workplaces. Visualize what your organization will look like after transforming your company’s technology by utilizing our Briefing & Immersion Sessions.